As of June 2, Moore and Oklahoma City had been awarded the largest amounts of FEMA public assistance, which reimburses for emergency response, cleanup and rebuilding costs. Moore Public Schools submitted the highest number of projects seeking federal approval. 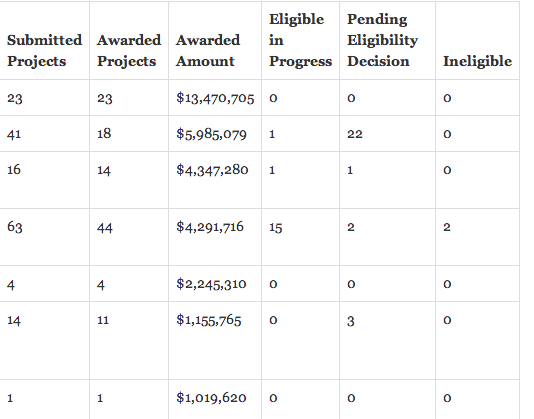 A total of 30 projects proposed by 20 groups were ruled ineligible for various reasons. Click or tap a column heading to re-order table. Search by applicant. A closer look at where the disaster relief money is going from Oklahoma’s severe tornadoes and storms from May and June last year.